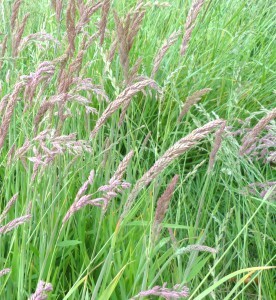 This is a tufted grass that grows to a height of 30-70cm. 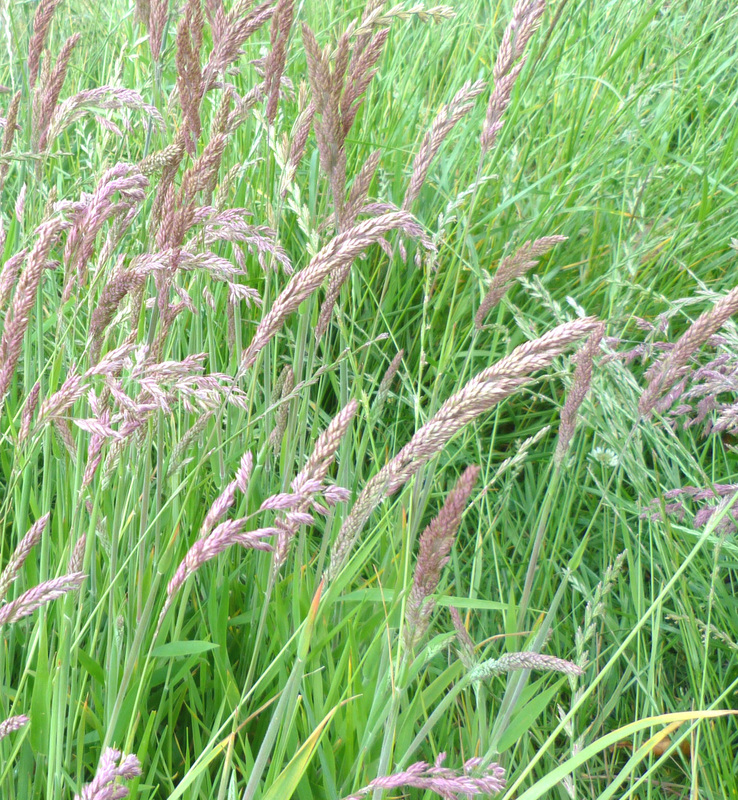 It is probably one of the most visually attractive grasses because of the bright pinkish-purple colouring of its stems and seed head. The leaves are a soft, pale, green and the lower leaf sheaths are often veined with reddish-purple. Both the stems and the leaves are covered with soft, fine, downy hairs. Panicle-type inflorescences (flowering heads) appear in June-July and are generally dense and whitish, pale green, pinkish or purple in colour. This is a species that is widely distributed about the course. In general, it is encountered in off-fairway areas that are not subjected to frequent cutting and in places such as the Builder’s Paddock and the field at the bend in the avenue. Yorkshire Fog is widely distributed throughout Ireland, U.K. and most of Europe but it is not regarded as a species that has notable benefits for either the golfcourse superintendent or the farmer.